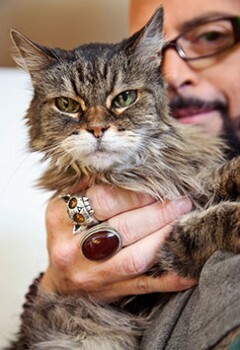 Jackson Galaxy is the Host & Executive Director of Animal Planet’s hit show  My Cat From Hell, a two-time New York Times best-selling author, and has over 20 years of experience as The Cat Daddy. He first found his calling while spending the better part of a decade on staff at an animal shelter. True to his goal of helping save the 4 million+ animals who die in shelters each year, he works closely with rescue organizations, including through the The Jackson Galaxy Project.